Just Southeast of Washington, D.C., Fort Washington was the only defensive fort protecting America’s capital and served as an important strategic point in both the War of 1812 and the Civil War. It even briefly served as the Army’s Adjutant General’s School during World War II. It is now part of an extensive park system along the Potomac River serving the numerous communities and homes that have developed nearby over the decades. Due to their proximity to the Potomac River, the homes in the Fort Washington area are prone to flooding basements. Flooding basements are a problem in and of themselves, but the real problem is what happens in a basement that perpetually has excess moisture. A dark, moist basement is the ideal breeding ground for mold. If you have a basement with a moisture problem, there is a good chance that mold has already set in, even if you don’t know about it. Professional mold remediation Fort Washington may be your best bet for not only removing mold from your home, but preventing regrowth of any mold in your home. There are several ways that large quantities of water can find its way into your basement. In Fort Washington, there are two sources that are more likely than the others. Concrete is not indestructible. Over time, your concrete foundation will develop cracks and gaps as a result of settlement and shifting soil. Water that pools around your soil can find its way into your basement through these cracks and gaps. Because of Fort Washington’s location on the banks of the Potomac River, there is a lot of ground water in the area. This means there’s a good chance that there is always excess moisture around your foundation that can work its way into your basement. Even if ground water isn’t the problem, the area’s unpredictable storms that can drop intense precipitation on the area. This can essentially have the same effect as a ground water problem, albeit temporarily. Anytime after a storm, runoff from the precipitation can find its way into your basement. If your moisture problem is more like a leak than a flood, there may be another cause for the moisture. The most common cause is condensation, and with the hot, humid summers in Fort Washington, it is very likely that humid air in your home is creating condensation on the surface in your cool basement. Whatever the cause, moisture combined with a cool, dark space, and plenty of organic material will result in mold and mildew growth in your basement that can result in harm to your home and health. Mold in small quantities isn’t harmful, and in fact, mold is found just about everywhere inside and outside the home. When mold starts to grow out of control, and aggregates in large quantities, that is when the problems can start. Some molds even produce mycotoxins that can cause serious health problems such as neurological damage, compromised immune systems, respiratory disorders, and even death. If left unchecked, mold can also cause extensive property damage. Mold likes to feed on organic matter, including wooden frames, drywall, carpet, insulation, wallpaper, furniture, and cardboard. All of this property in your basement is susceptible to being damaged by mold. If not addressed in a timely manner, they can become irreparably damaged and must be completel replaced. 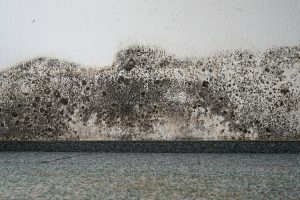 Although mold problems are universal, the specific types of molds and the way they present are unique to each location. If you suspect you have a mold problem, you should contact a company that specializes in mold remediation in Fort Washington. Mold remediation Fort Washington involves a special process of decontaminating surfaces affected by mold, removing traces of dangerous mold spores from your home, and ensuring that the problem does not reoccur in your basement. Professionals can prevent reoccurrence by addressing not only the mold in your home, but the moisture problems that lead to mold.